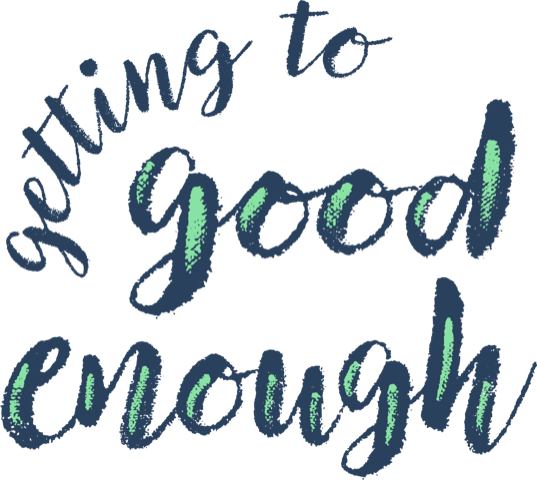 You can bring a little Getting to Good Enough into your home for enjoyment between podcasts. Here’s the mug Janine made as a surprise gift for Shannon. It can be yours for $14.95!